250 Refugees Feared Drowned off Libyan Coast. (Their) lives have been swallowed by the Mediterranean mass grave and the shame of the policies that allow it to happen,” said a rescue organization. An estimated 250 refugees fleeing war and impoverishment are feared to have drowned on Thursday trying to cross the Mediterranean in the hopes of seeking asylum in Europe, an aid organization reported. 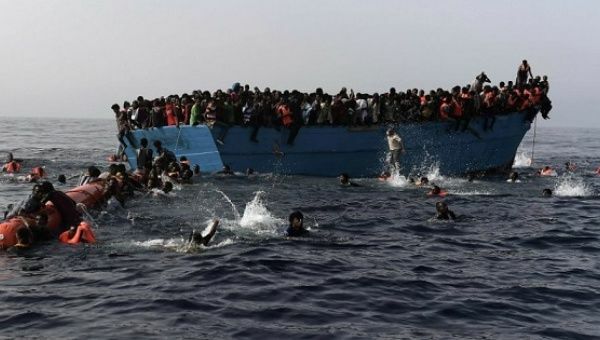 On Thursday, Proactiva Open Arms — a Spanish NGO dedicated to providing rescue services to the thousands of refugees forced to make the dangerous crossing — reported that they discovered two capsized boats off the coast of Libya, each with a capacity of over 100 people. “There is news we would rather not give. There are days when we confront death, not life. Today is one of them,” the group said in a statement, adding they had recovered five bodies. 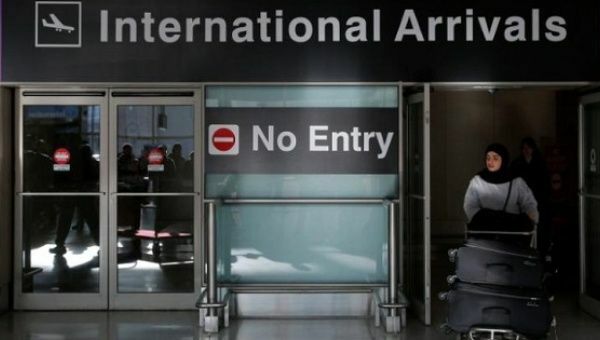 Africa Trade Summit in US Had Zero Africans After Visas Denied. This year it was 100 percent. Every delegation,” organizer Mary Flowers told the media. “Usually we get 40 percent that get rejected but the others come,” Mary Flowers, chair of the African Global Economic and Development Summit, told Voice of America in an interview Friday. 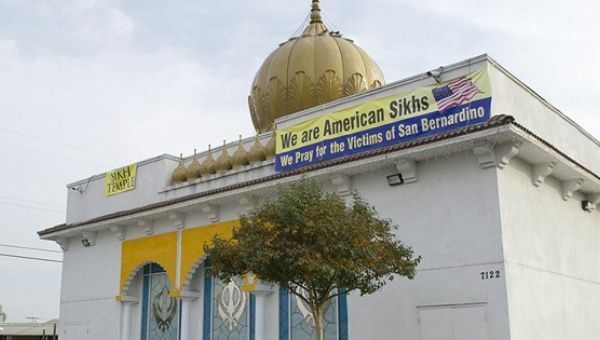 In Just 9 Days,2 Hate Crimes Rock Indian Community in US. #World#US, Indian Community in US. A Sikh man was working in Kent’s East Hill neighborhood when an unidentified, white male racially abused him before shooting him in the arm. A 39-year-old Sikh man narrowly escaped death after he was shot in a suspected hate crime in Washington Friday, just nine days after Kansas-based Indian immigrant Srinivas Kuchibhotla, 32, tragically lost his life in a similar incident. 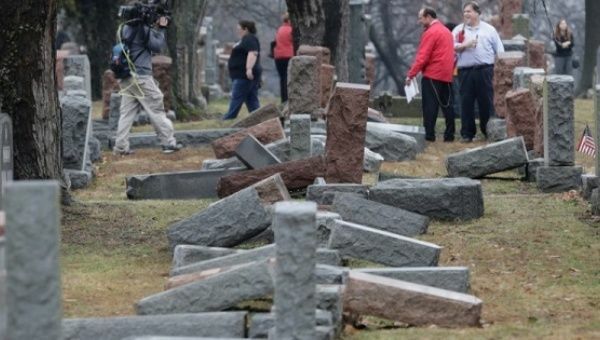 US Muslims Raise over $100,000 for Vandalized Jewish Cemetery. The original goal was set at US$20,000, but the campaign managed to raise five times that amount in a little over a day. As Muslim Americans are beseeched by Islamophobic attacks, they also managed to help raise more than US$100,000 to repair vandalized headstones at a Jewish cemetery in St. Louis, Missouri, according to an online fundraising page, amid attacks and threats against Jewish institutions. “Muslim Americans stand in solidarity with the Jewish-American community to condemn this horrific act of desecration,” the fundraisers said on their website. More than 3,600 people donated US$103,257 by Wednesday night. Cemetery staff declined to comment on the fundraising. A report by the European Border and Coast Guard Agency (Frontex) indicated that the total number of migrants arriving in Europe by two main sea routes (Eastern Mediterranean route, and across the Western Balkans) in 2016 fell by nearly two-thirds compared to 2015.